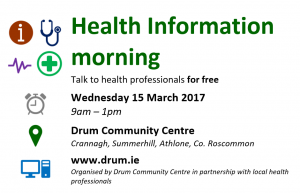 A free health information morning will be held in Drum Community Centre, Summerhill, Athlone on Wednesday 15 March from 9am to 1pm to provide people with a chance to find out more about the various health and wellbeing services available in the Athlone area. Healthcare professionals and representatives from a number of organisations will be in attendance to meet the public and offer free advice and information about the treatments they provide. 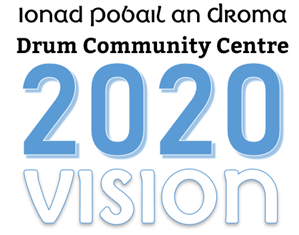 The event is organised by Drum Community Centre in partnership with local health and wellbeing practitioners. 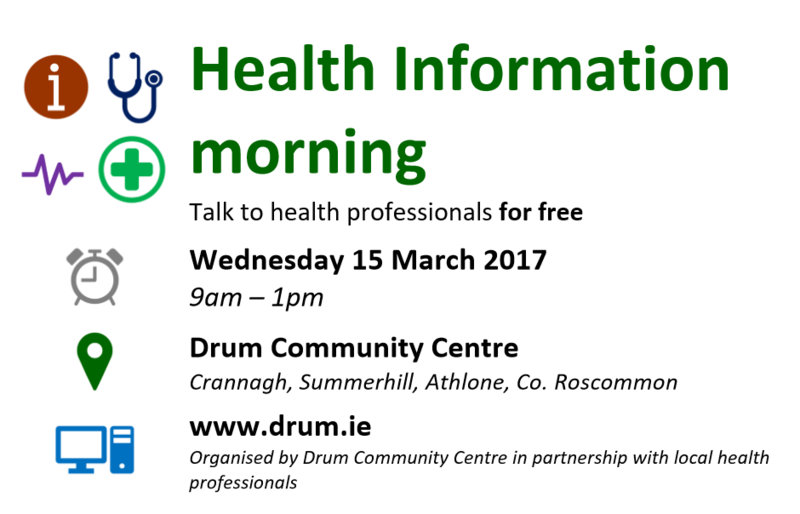 Health promotion staff and a mental health officer from the HSE will be in attendance, along with a bereavement counsellor from Pieta House. The Marie Keating Foundation will be onsite with their mobile information unit and a local pharmacist will also be present. Recognising the importance of physical activity in good health, members of local walking groups and leaders of the successful Operation Transformation group in Moore will be in attendance to encourage people to get active. A local reflexologist, a yoga teacher and a holistic therapist will advise on the benefits of alternative therapies and treatments.